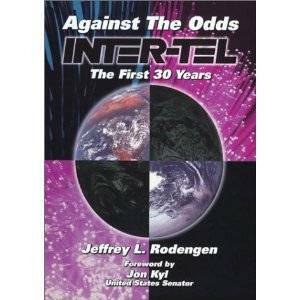 Against All Odds: Inter-Tel The First 30 Years is a study of how a small business can thrive in the shadow of a corporate giant like AT&T. In 1969 a driven salesman and entrepreneur named Steve Mihaylo, took on the telephone monopoly shortly after court decisions forced AT&T to allow non-AT&T equipment to be connected to its network. Emerging from a one-man office with a desk made of an old door nailed to the wall, this company grew through consultative selling. Using the companys relative small size as an asset, Inter-Tel found it could more quickly adapt its product to customer needs and was able to bring innovations to market at a speed only dreamed of by its larger competitors. To most people in the 1970s, the merger of computers and telephones was a far-fetched proposition. Mihaylo committed to growing his business through increased research into microprocessors. This costly gamble allowed Inter-Tel to introduce the first microprocessor-based phone system, bringing features never before available to small businesses. As a result, in 1981 Mihaylo took his company public. Opening at $12.50 a share, the stock sold out its initial offering in 30 minutes and reached $16 per share. By 1982 the stock reached $54 a share, and it was a tremendous financial success. In this era of diminished customer service, these basic steps can be applied to almost any business, resulting in lasting success. Entrepreneurs will find this work insightful. This book showcases real-world methods used in growing a small business to a large one and addresses issues of managing growth, increasing financial strength and attracting talented employees to a small business.